Fifa's ethics watchdog on Thursday suspended the two most powerful men in football, Sepp Blatter and Michel Platini, for 90 days in a sensational new blow to the sport's scandal-tainted governing body. 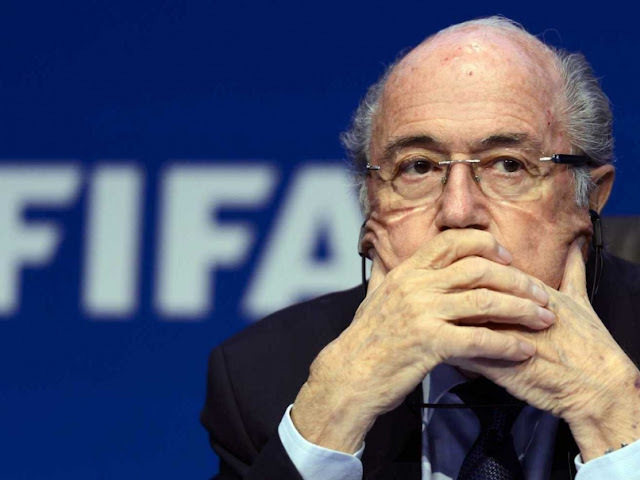 While it said the bans were "provisional", the action almost certainly signals the end of the reign of Swiss Fifa president Blatter and deals a major blow to Uefa leader Platini's hopes of taking over. On another chaotic day for football, Fifa's independent ethics committee also banned South Korean tycoon, Chung Mong-Joon, also a candidate for the Fifa presidency, for six years. Fifa secretary general Jerome Valcke, already ordered to leave the world body over a separate ticketing scandal, was also suspended for 90 days. The four football powerbrokers "are banned from all football activities on a national and international level. The bans come into force immediately," said a statement. Fifa did not immediately say who would take over running the multi-billion dollar organisation. Blatter and French football legend Platini have faced mounting pressure since Swiss prosecutors started an investigation into the veteran Fifa president for criminal mismanagement. Platini, who has run Uefa, based in the Swiss city of Nyon, has been named in the investigation because of a two million dollar payment he received in 2011. The Frenchman earlier demanded an inquiry into the circumstances of the investigation against him.